There is a lot of information out there about sleep apnoea. The really important thing to know about it is that it means that you have a decrease or stoppage of airflow during your sleep. This usually occurs with a decrease in the amount of oxygen going through your blood stream. As you can imagine, none of this is very good for you, and sleep apnea is a risk factor for many poor health outcomes such as heart attack, stroke, high blood pressure (both in children and adults and in pregnant women) and type 2 diabetes and sexual dysfunction in males. Apnoea in children can be related to muscle disorders, prematurity, large tonsils and adenoids, and poor facial growth. As you age, it becomes multifactorial, with muscle tone, breathing problems, and allergy all playing a part. 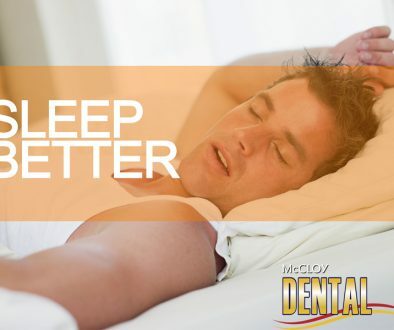 A dentist may be able to help with sleep apnoea if there is a problem with growth of the jaws and orthodontics involving expansion is required. If this is not suitable or sufficient to treat the apnoea, a mandibular advancement splint can be made which acts by mechanically holding the lower jaw and tongue forwards, tensioning the muscles and keeping the airway open. A mandibular advancement splint does not always get rid of all of the apnoea, unlike a CPAP, but it is usually much more comfortable to wear, and more easily tolerated. Having an open airway for most of the night by wearing a splint is much better than wearing a CPAP for only a few hours and then throwing it off. A mandibular advancement splint is also more convenient for travel and holidays. CPAP	Why do my gums bleed?